Home Blog Yanny or Laurel? This audio clip was the internet sensation for May 2018. In it, a voice is heard saying a word. Many people hear either “Yanny” or “Laurel,” though at first listen I heard “Yarry.” After a few more listens, I heard “Laurel” but my husband only hears “Yanny” and is rather insistent that it’s impossible to hear anything else. This is especially funny to me because he is a piano techinician with extremely good ears! 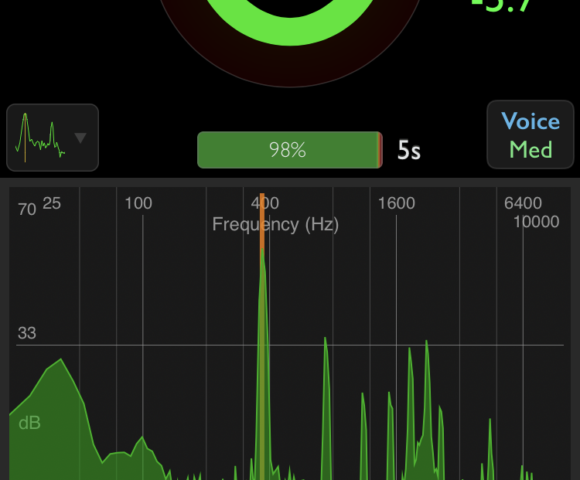 In the video below, the audio is changed to highlight the high or low frequencies. Perhaps with a little priming, you can hear both. And at this link from the New York Times, you can change the frequencies using a slider to play with this effect yourself. So what does this have to do with flute playing or singing? When listening deeply to tone, our ears need to be trained to listen to many different frequencies. During a lesson, I will often close my eyes and listen intently to a student’s tone. I will try to focus on the frequencies. When I listen to the high frequences, I might hear “hiss” or excess air escaping around the tone hole. The solution to this problem lies in refining the embouchure so that all the air is blowing over the tone hle. 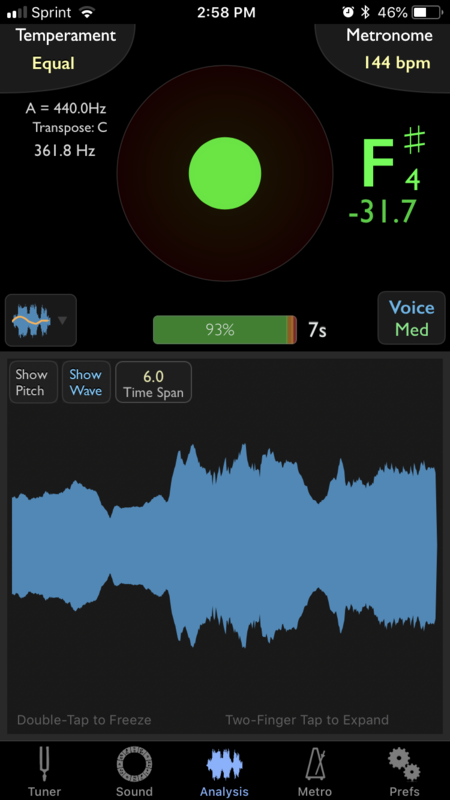 By focusing on the low end of the sound spectrum, I can detect resonance, or lack of it. Students can open the mouth and relax the soft palate to develop the low frequencies in the flute. In the middle of the spectrum, I am listening for nasal or brassy sounds that might indicate the embouchure is too tight or the tone is focusing too close to the edge of the tone hole. 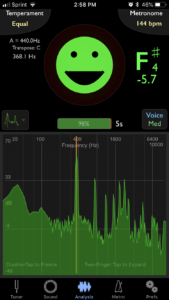 I use the same sound analysis with the voice, though the problems and solutions are a bit different. The “Yanny” vs “Laurel” debate is fun for the water cooler, but I think musicians can learn something from it. When my husband was in school to become a piano technician, they spent a lot of time learning how to hear “beats,” which are the first indicator of intonation. To work on the tone of a piano, he must listen to all parts of the tone, the highs, lows, and middle range of the auditory spectrum. As a teacher, I have to think about this when working with tone and color for flutists and vocalists. Fortunately, technology allows us easy access to spectrometers. 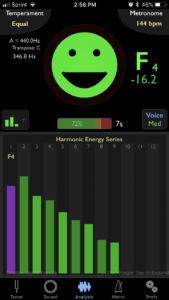 My favorite app for iPhone is TonalEnergy, which gives me several options for specral analysis of tone. 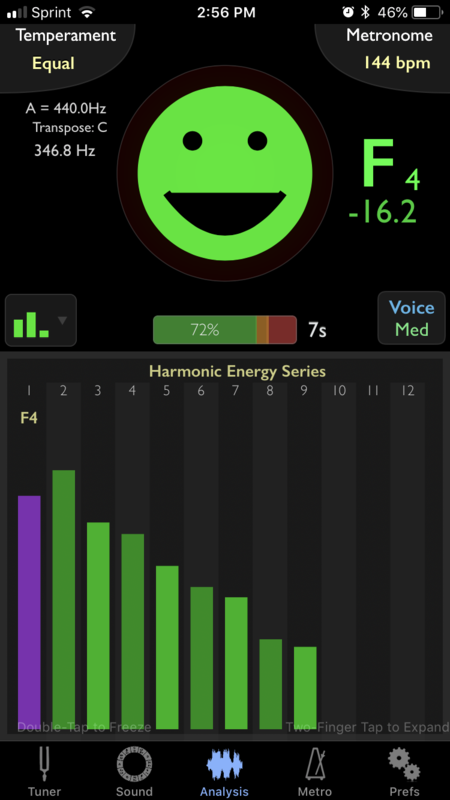 I can choose from “Waveform/Pitch,” “Spectral,” and “Harmonic” analyses. 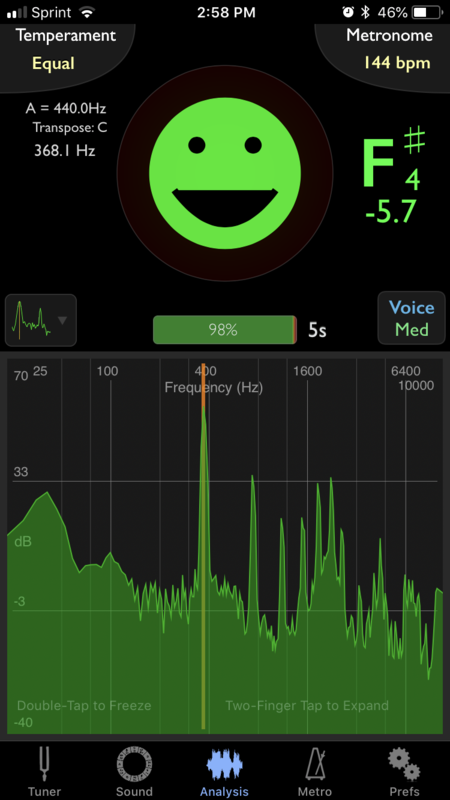 Then I can play with mouth shape, air volume, and speed to play with the overtone series. 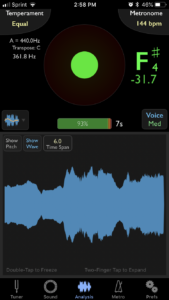 In a previous blog article (Singing In Tune: Intonation Ideas for the Choir) I examined how this technology might be used for vocalists. Can you hear both? Or maybe if you listen to other parts of the spectrum, you will hear something in between… or perhaps something entirely different. Is this kind of deep listening helpful for your music practice?